Create 2 congruent triangles by: Fold paper in half Cut out a triangle along one of the open sides. Label the triangles as shown. Rearrange to the two triangles to create shape we know the area of. 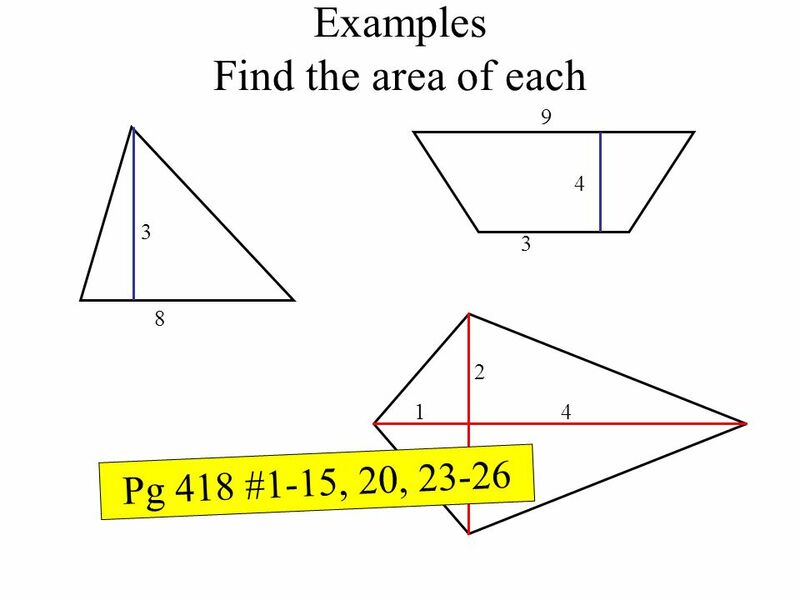 What is the area of one triangle? 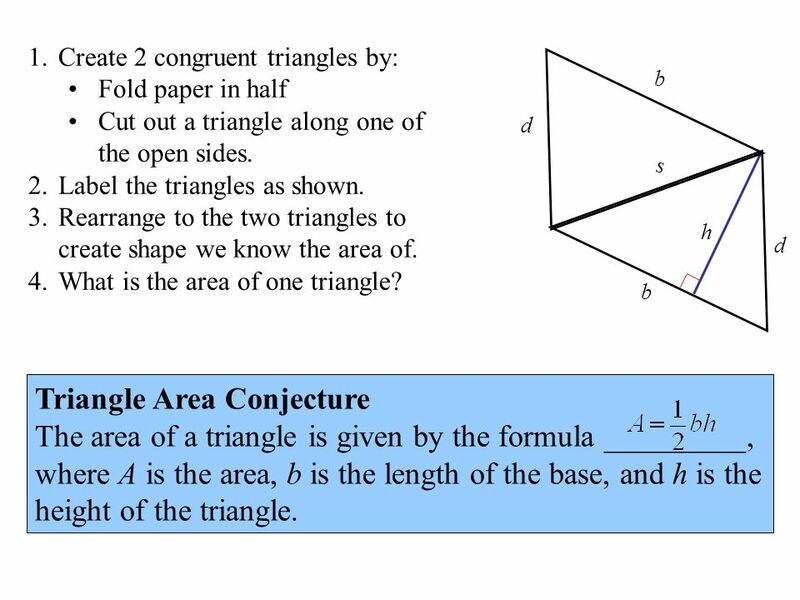 b d s h d b Triangle Area Conjecture The area of a triangle is given by the formula _________, where A is the area, b is the length of the base, and h is the height of the triangle. Create 2 congruent trapezoids by: Fold paper in half Cut out a trapezoid along one of the open sides Label the trapezoids as shown Rearrange to the two triangles to create shape we know the area of. What is the area of one trapezoid? 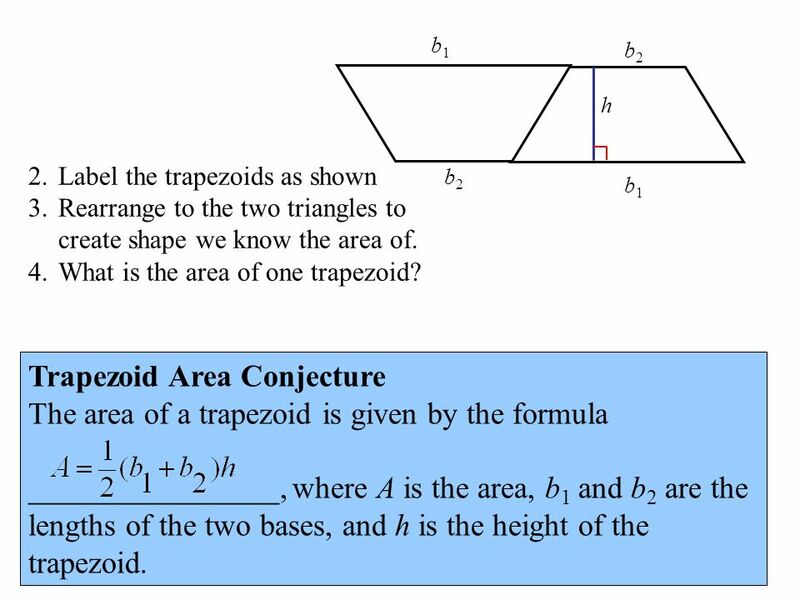 b1 b2 s h b2 b1 Trapezoid Area Conjecture The area of a trapezoid is given by the formula ________________, where A is the area, b1 and b2 are the lengths of the two bases, and h is the height of the trapezoid. 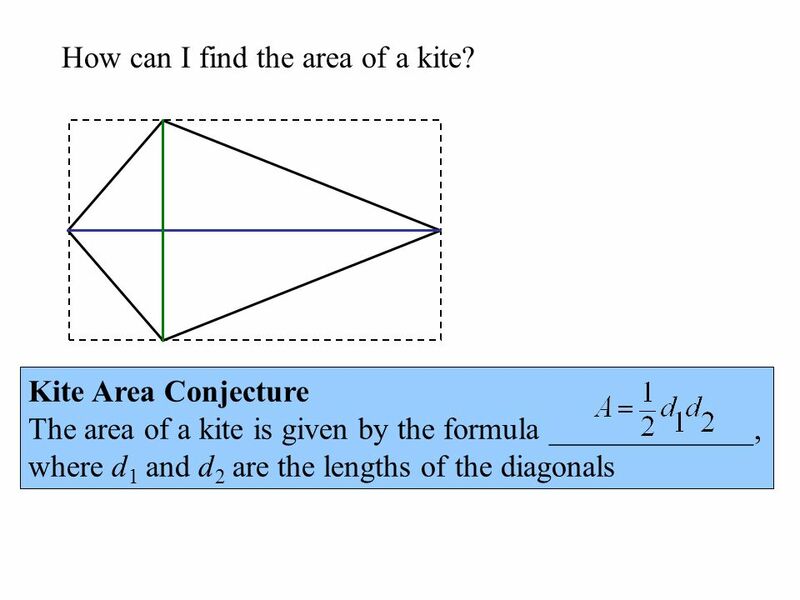 5 How can I find the area of a kite? 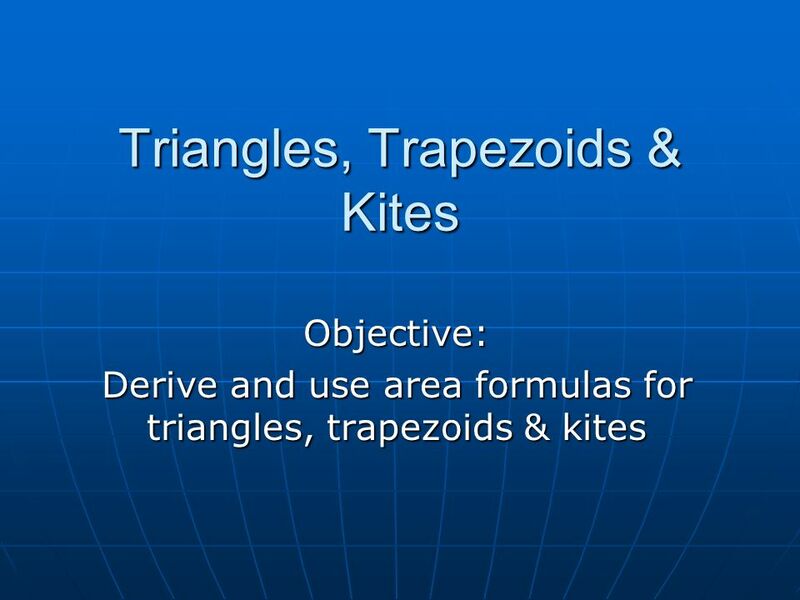 Download ppt "Triangles, Trapezoids & Kites"
Area and Perimeter By Christine Berg Edited by V T Hamilton. Area Formulas Rectangle What is the area formula? We are learning to…find the area of parallelograms and trapezoids. Thursday, January 15, 2015. By Tyler Van Vleet Exploring Area. Rectangle Area of a rectangle = L x W L W.
Areas of Rectangles and Parallelograms Areas of Triangles, Trapezoids and Kites. 6.3 What If Both Sides Are Parallel? Pg. 13 Properties of Trapezoids. Chapter 6+. The opposite sides of a parallelogram are __________ and __________. 1. A kite has two diagonals. We’ll label them. 2. The diagonals in a kite make a right angle. 3. Let’s put a rectangle around the kite because we know. 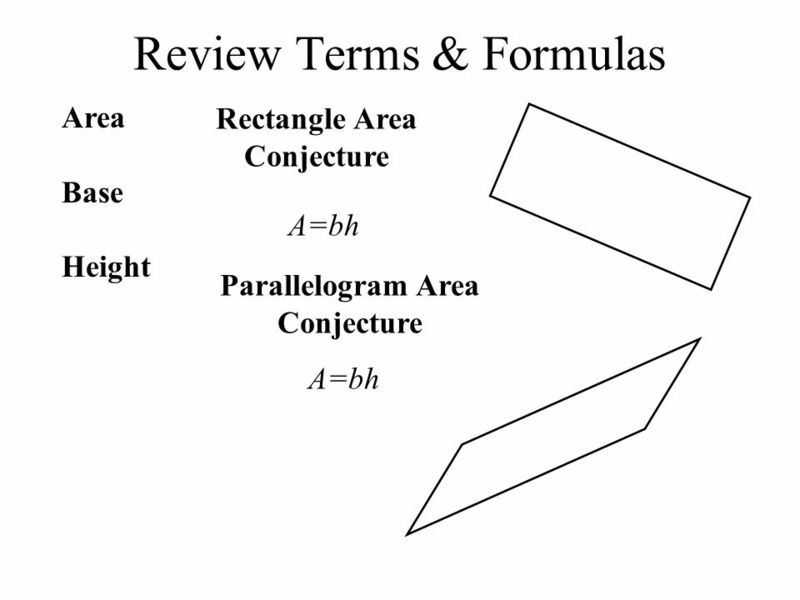 TODAY IN GEOMETRY…  Review: Pythagorean Theorem and Perimeter  Learning Target: You will find areas of different polygons  Independent practice. Areas of Triangles Trapezoids, Rhombuses, and Kites. Finding the Area of a Basic Figure Developing the Area formulae for Squares, Rectangles, Parallelograms, Triangles, and Trapezoids. Square Parallelogram.